If you’ve been in a coffee shop lately, then you probably know that there are a whole lot more coffee options than there once was. It seems like the days in which you can just order a black coffee are gone forever. Now, it seems like there are an overwhelming amount of different coffees available right now. So many different types that it may leave you standing in line completely confused as you try to figure out if you want a Caffe Machiatto, a Cappuccino or a Flat White. While it may be intimidating when confronted with all of these coffee options, I assure you that it isn’t as difficult as you imagine. In fact, the most popular drinks on the market today: Machiatto, Latte, Cappuccino, Latte Machiatto, Mocha and Flat White are actually very similar. The only real difference between them is the ratio of steamed milk, milk foam and espresso, that each drink uses. Let’s start with the foundation of all of these drinks: espresso. Espresso is basically just a full-flavored coffee that’s concentrated and usually served in shots. 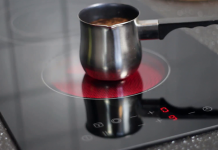 It is created by pulling very hot water through very fine premium coffee blends. When this is done it’s called pulling a shot. Once a shot is pulled, it can be drank alone or become an ingredient in a coffee drink. Macchiato is a coffee drink that goes by a number of different names. Normally it’s known as Macchiato but it can also be known as a Caffe Macchiato. No matter what you call it though, the combination of ingredients is what makes it special. It’s basically just an espresso with a very small amount of milk – just a drop, in fact. Which isn’t surprising because Macchiato literally means “stained” in Italian. So it’s basically an espresso that’s just a little stained by the steamed milk. It’s a denser coffee than other coffees may be. The coffee drink Latte, also known as a Caffe Latte by some people, it a coffee that is made from a double shot of Espresso, six to eight ounces of steamed milk and is topped with a very thin layer of foam. When you see people on TV making a coffee drink that has a foam swirl on top of them in a leaf or some other shape, then it’s probably a Latte or maybe a Cappuccino. In many parts of Europe, especially France, it’s often considered a drink to have in the morning with breakfast. The Cappuccino is a coffee drink that most people know about nowadays. It’s a creamed coffee that can be either made with milk or cream and is sometimes covered in a fine dusting of cinnamon, cocoa or pumpkin spice. It’s a very milky drink that’s indulgent but also has a slight hint of coffee hidden behind it. It’s an especially good drink for those people who don’t really like strong coffee flavors. It’s made using 1/3 cup of Espresso, 1/3 cup of steamed milk and hitting it with a 1/3 cup of milk foam. Mocha is a coffee drink that is a perfect drink for people who love chocolate. Also known as a Mocaccino or a Caffee Mocha, this is a slight variation on a Latte, except with the added fun of a chocolate syrup or powder. Another difference between this drink and the Latte is that instead of having a light whipped milk foam on top, this drink usually has whipped cream. Another drink that seems to confuse first-time coffee shop attendees is the Flat White. Many people believe that it’s the same drink as a Latte but in reality, it isn’t. Sure, it’s usually served in a smaller cup – making people think that it’s just a small Latte – but these people are really missing the point. 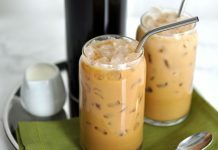 While both a Latte and a Flat White are prepared using the same basic ingredients, it’s the way the milk is handled that differentiates these two coffee drinks from one another. Flat Whites have a velvety milk micro-foam made from the steamed milk that makes it stand apart from the Latte and enhances the flavor of the Espresso. What’s the Difference Between a Latte and a Macchiato? Now, you may be looking over the above ingredients for each of the coffee drinks and see that a Latta and a Macchiato both use the same ingredients. Which might confuse you a bit. After all, you might say, if they have the same ingredients, then aren’t they the same drink? To which I have to say: no, they are two very different coffee drinks. The ratios of Espresso to milk are radically different in these coffees and they are prepared in different ways. The Latte is made by pouring steamed milk into the Espresso and then perhaps adding foam on top, if desired. The Macchiato, on the other hand, is prepared by pouring the Espresso on top of the steamed milk and then marking it with a bit of foam. The Latte is more milk-based and the Macchiato is more Espresso-based. As you can see, making or ordering a coffee doesn’t have to require consulting a barista or learning some elaborate coffee recipes. In all of these coffee drinks, it’s just a combination of a few ingredients that form the foundation of all of them. It’s just Espresso coffee, steamed milk, and milk foam. And from there they can be customized using a variety of other flavorings – from chocolate syrups and powders to cinnamon to a whole range of other spices. Of course, the only real way to find out how these different coffee drinks taste is by checking them out for yourself. Now that you have the basic knowledge you need to order with confidence, I urge you to try out all of these flavors. Eventually, one or more of them will rise to the top and become the coffee drink of your dreams. All it takes is a little experimentation.